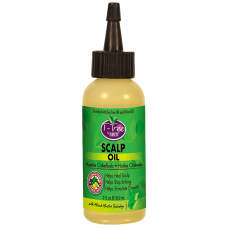 Directions for Use: Using nozzle, apply a generous amount into scalp daily and massage in. Comb gently through the hair from roots to ends. Re-apply to dry, flaky areas as needed. Size: 2 fl. oz. / 59.2 ml. 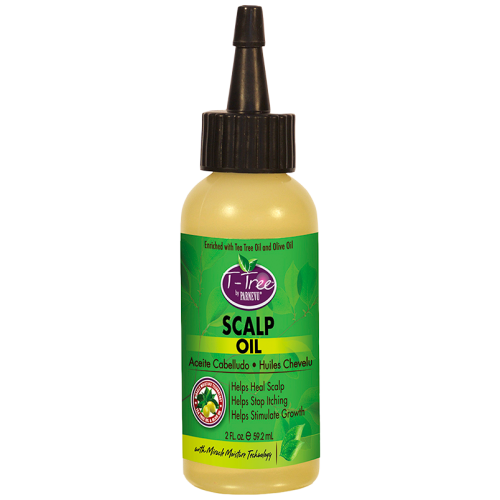 INGREDIENTS: Arachis Hypogaea (Peanut) Oil, Ricinus Communis (Castor) Seed Oil, Canola Oil (Canola, Huile de colza), Olea Europaea (Olive) Fruit Oil, Triticum Vulgare (Wheat) Germ Oil, Prunus Amygdalus Dulcis (Sweet Almond) Oil, Sesamum Indicum (Sesame) Seed Oil, Tocopheryl Acetate, Cyclomethicone, Melaleuca Alternifolia (Tea Tree) Leaf Oil, BHT, Fragrance (Parfum).